Traditionally, the Vaishya Community has been native to the Konkan region along the West Coast comprising Goa and surrounding areas. However, following the Portuguese occupation of Goa, they began to migrate southwards in order to escape the Portuguese policy of forcible conversion. Many of them settled along the way in various pockets in the Coastal region and some families settled in Mangalore. 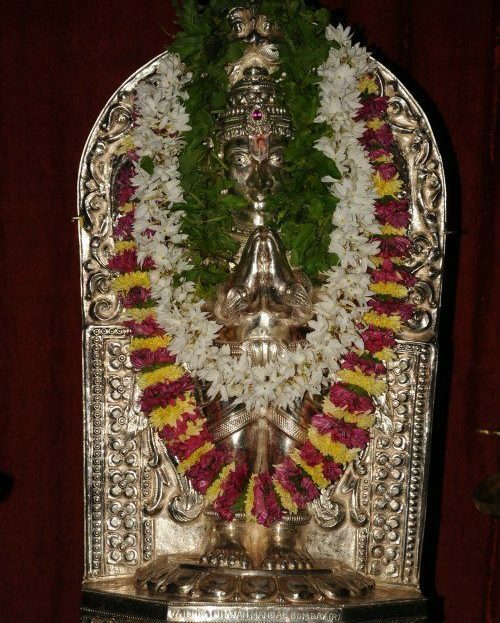 Many Vaishya Bhandavas were devotees of Lord Sri Venkataramana and they felt the need for a temple. 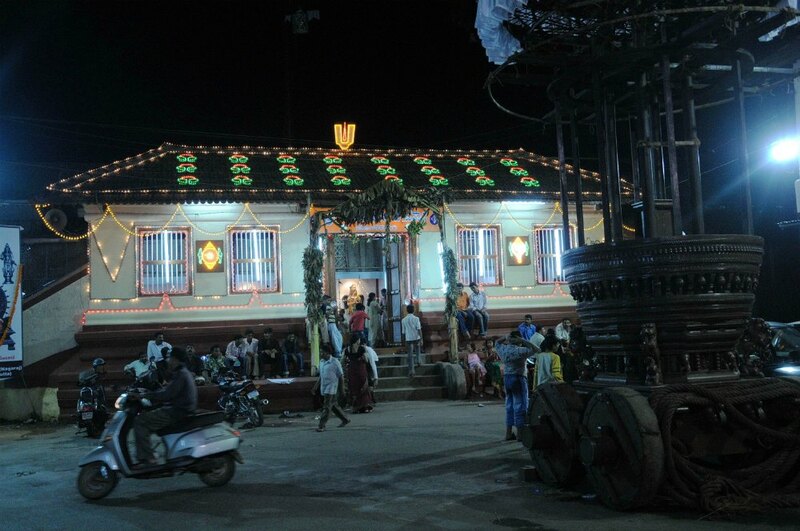 They build the temple of Lord Sri Venkataramana at Boloor in the year 1830. This task was performed with the help of JOG SHET family. Later on it was felt that a more centrally located temple was needed. 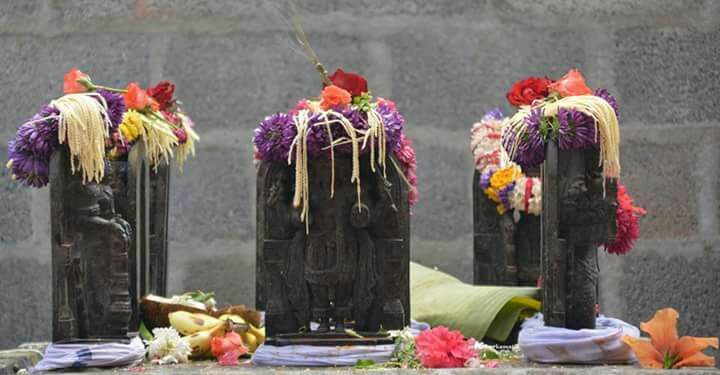 While the community elders were pondering over the prospect of building such a temple, the Deity appeared in the dream of Venkappa Shet who assured him that his sannidhi will be consecrated in the middle of the city. Therefore the process of building the temple was set into motion after informing all the elders of the community. A suitable piece of land was acquired at a central place called Dongra in the year 1859 (This locality is now known as Dongerkery). In olden days, this land was a Shiva Sannidhi and the construction work commenced in the year 1859. The responsibility for the construction was shouldered by Venkappa Shet. Then due to financial crisis Raghunath Shet of Hanchina Mane helped him financially and the work was completed in the year 1869. 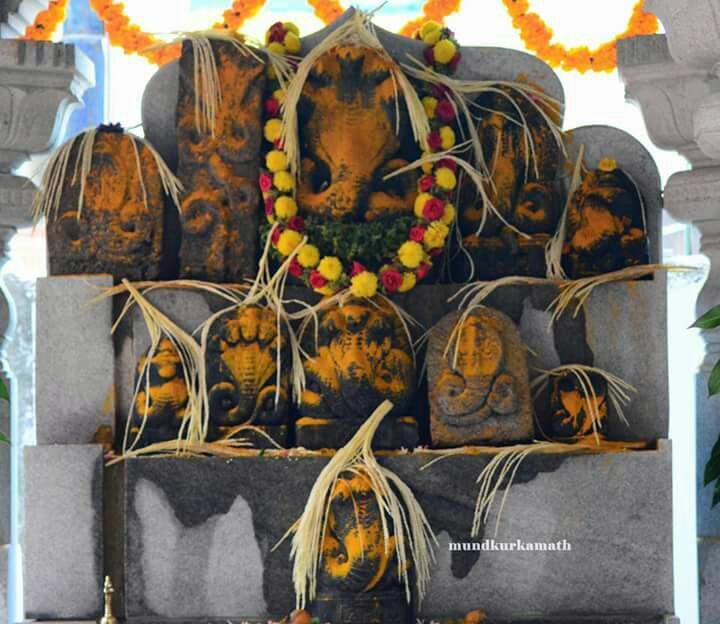 The Pratishtapana (Installation) of the idols of Lord Venkataramana with his consorts of Sridevi and Bhoodevi was made in the year 1868, i.e., on Vaishaka Shudh Sapthami of Vibhava Nama Samvatsara of Hindu calendar. 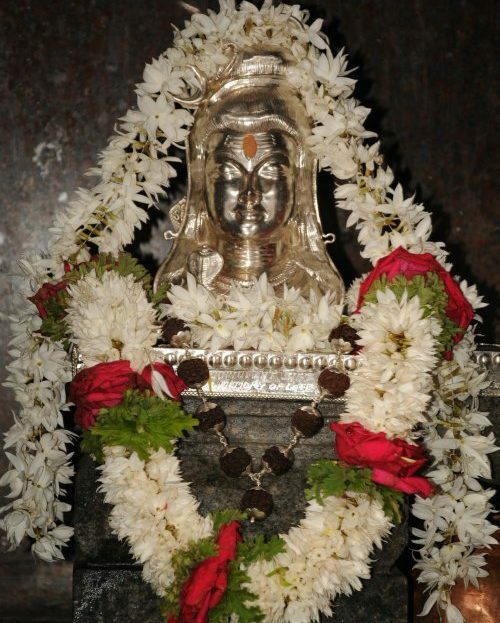 The main idols (Moola Moorthies) of Lord Sri Venkataramana with Sridevi and Bhoodevi were made of Panchaloha - an alloy of five metals. 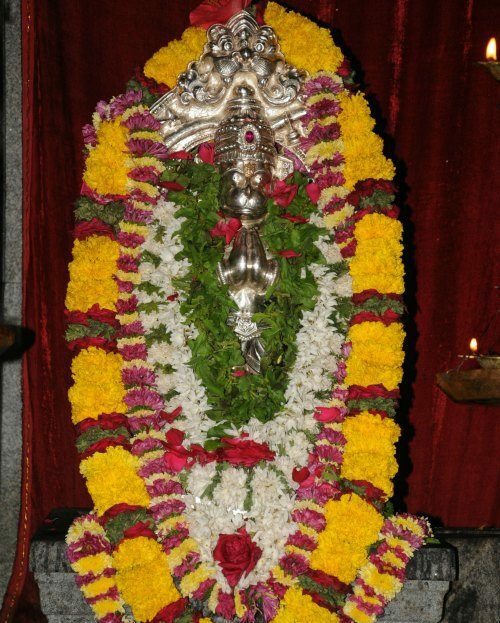 While the idols of Lord Sri Venkataramana, who as Lord of the Universe holds Chakra (Wheel) on right hand, Shankh (Coonch) on the left hand and the Katari in the right waist, the idols of Sridevi (Goddess of wealth and prosperity) and Bhoodevi (Goddess of Prakriti, Sanctity and Success) are seen holding flower buds. 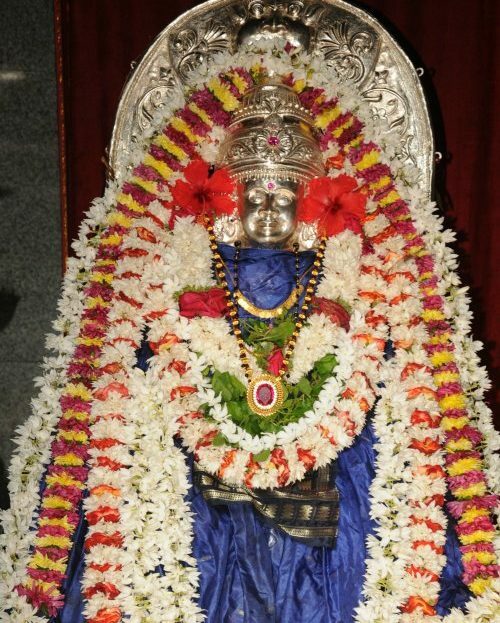 The height of idol Lord Venkataramana is about 18 inches and that of Sridevi and Bhoodevi are about 12 inches including the beautifully carved crowns worn on their heads. Subsequently, in the year 1908, Rathotosava too was introduced. 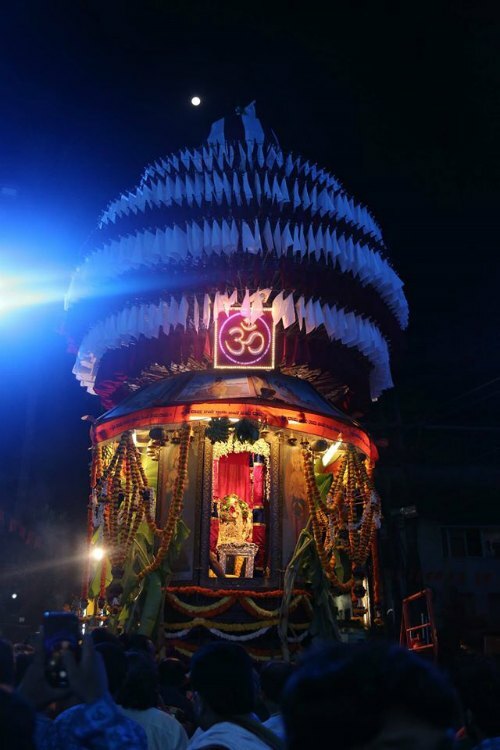 In the initial years, the Rathotsava was celebrated for one day only. 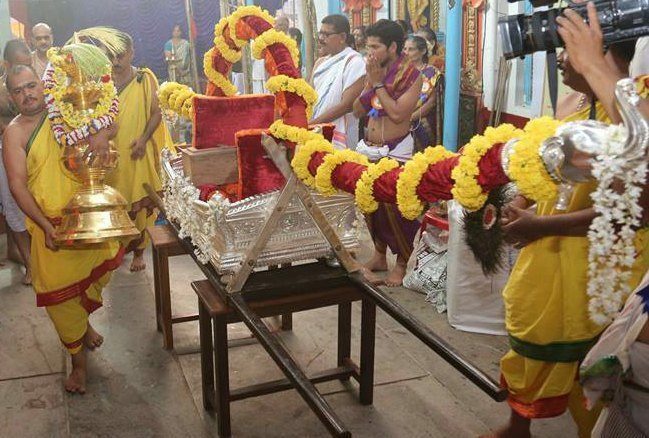 Brahma Ratha (Wooden Chariot) was donated by Late Sowkar Appu Pal. 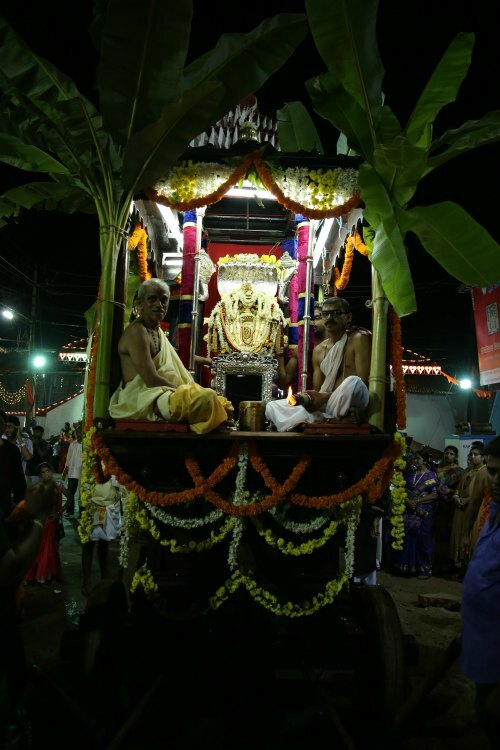 In the year 1932, the Dwaja and Deepasthambha were donated by Late Srinivas Narayan. Bhandi was donated by Late Sri Janardhan Shet, Yajna Mantap was donated by Late Sri Toledar Vaman Shet and Silver Palanki was donated by all Sarafs (Gold Smiths) of our community. 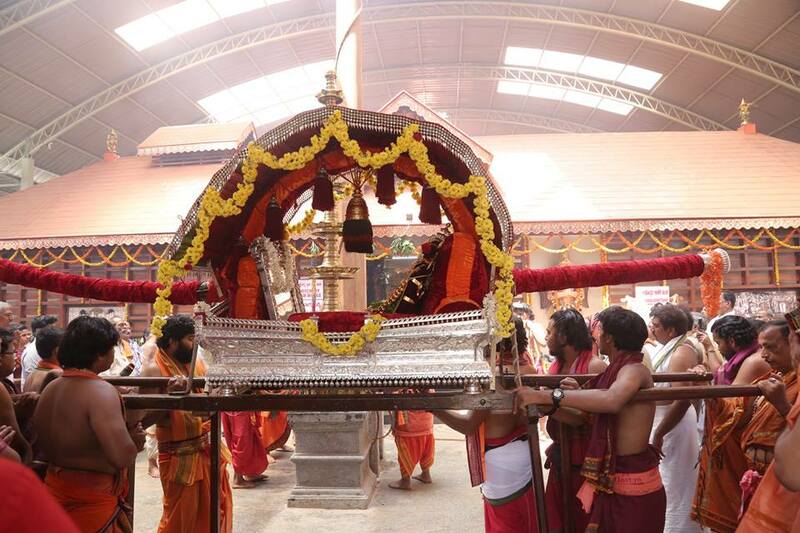 This enabled to start six days rituals of Rathotsava with Agama rites. 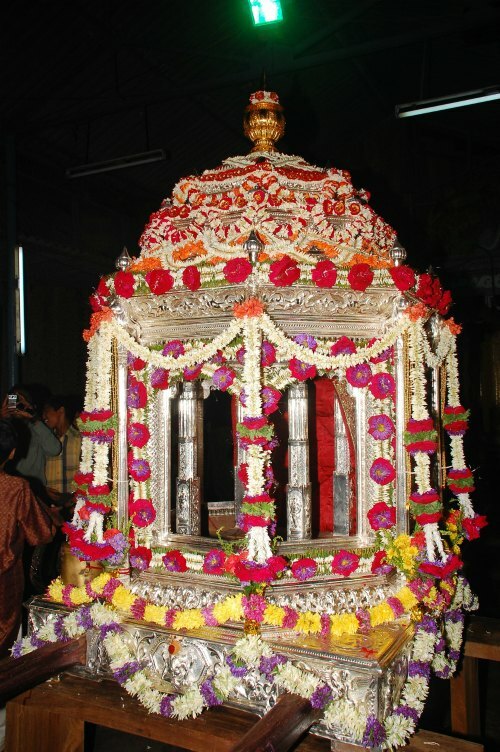 In the year 1940 the Silver Wooden Lalki was offered to Lord Sri Venkataramana by community members. Personal Gold was offered by mother of Late Sri Ramdas Maruthi of Bibi Alabi Road, Mangalore for covering the Moola Murthies. 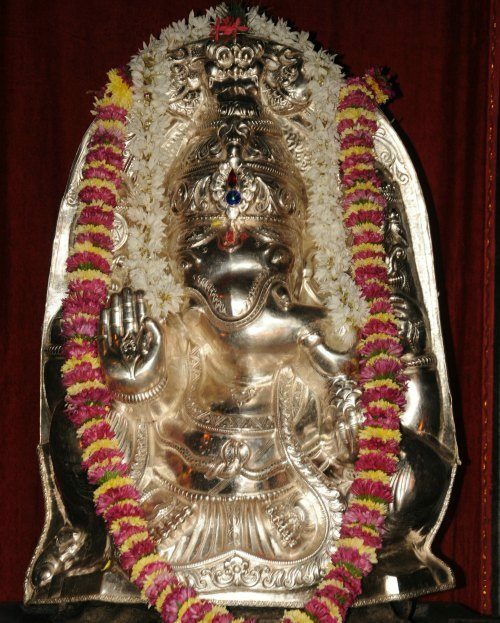 Parivara Deities like Maha Ganapathi, Mahalaxmi, Shiva, Hanumantha (Mukyaprana), Garuda, Navagraha and Naga Devata were consecrated in 1988, i.e., on Jyesta Shudh Dashami of Vibhava Nama Samvatsara. The gudies where these were installed were renovated with the active participation of Vaishya community members and Punar Pratishta (Reinstallation) of the deities was made on 24th March 2007 in the presence of our Guru His Holiness Sri Sri Vamanshrama Swamiji of Haldipur Krishnashram Mutt.